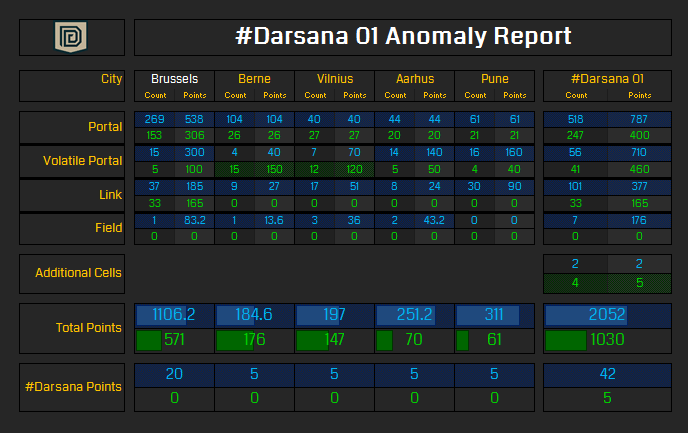 In the first round of the #Darsana Anomaly Series, The Resistance won all 5 cities earning almost double the cluster points to the Enlightened (E:1030 – R:2052). The Resistance also managed to field over 4 of the 5 cities. 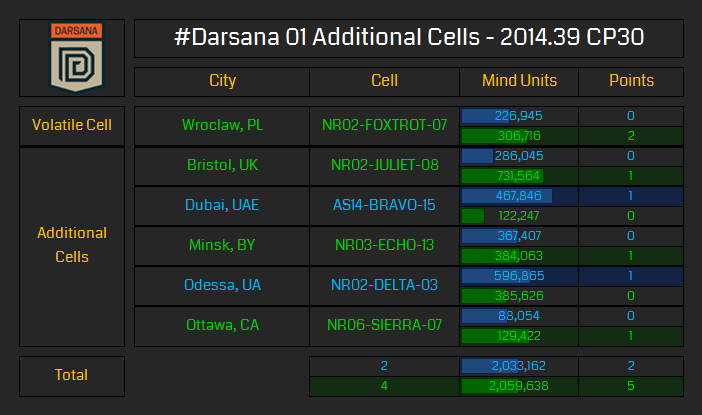 The only #Darsana points the Enlightened won in round 1 were from winning in 4 cells including the Volatile. 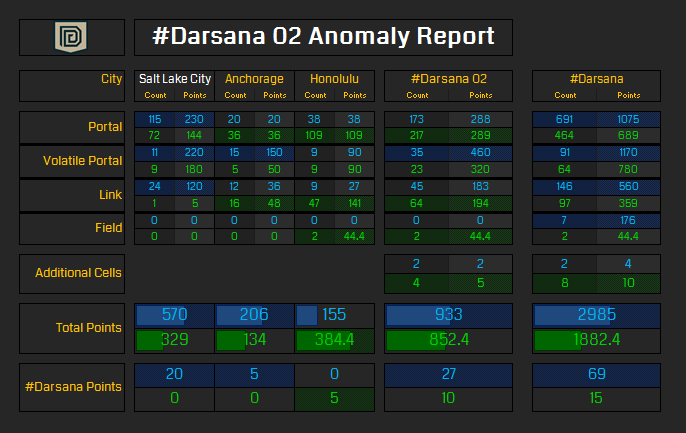 #Darsana 02 was a much closer battle with the Enlightened winning in Honolulu, but the other 2 cities still went to the Resistance. 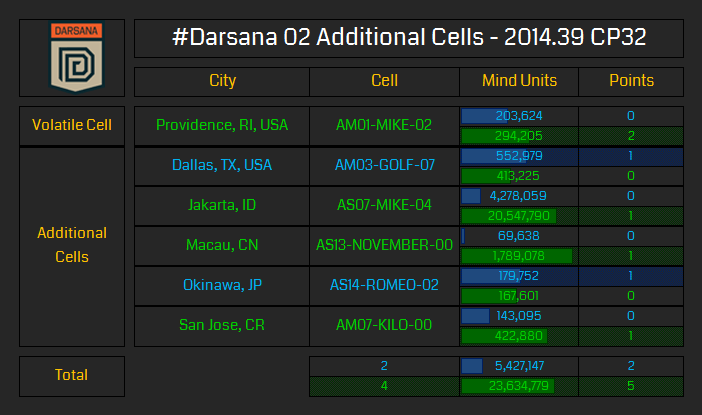 The Enlightened managed to win the majority of the cells again and accumulated over 23 million Mind Units across the 6 cells compared to the Resistances 5 million with most of the Mind Units from both sides coming from Jakarta. Awesome win in Vilnius, Lithuania by using bots. Congratulations resistance. Auto links, autodeploy shields using more than 60 bots, guarding random portals for linking, just awesome. Congratulations with your well deserved points. Oh yeah, and apparently Enlightenment had some bots aswell, unfortunately they only deployed linkamps to use up mod places.